SplishySplashCraft was kind enough to include me in her current treasury as an alternate. 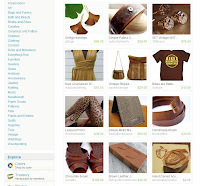 It just made the front page and one of the items sold, so I'm in the lower right hand corner. Yay!